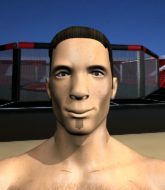 Gavrilo has Exceptional boxing, Sensational Muay Thai, Exceptional wrestling and holds a brown belt in Brazilian Jiu Jitsu. I am a really good chef. 2019-03-21- Gavrilo Djuretic celebrated his birthday - 29 today! 2018-12-26- Gavrilo Djuretic celebrated his birthday - 28 today! 2018-12-01- will receive 170 Reduce Energy Loss from manager in 3 days. 2018-10-28- will receive Timmy Special Shorts from manager in 3 days. 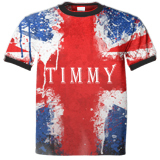 2018-10-28- will receive Timmy Special T-Shirt from manager in 3 days.